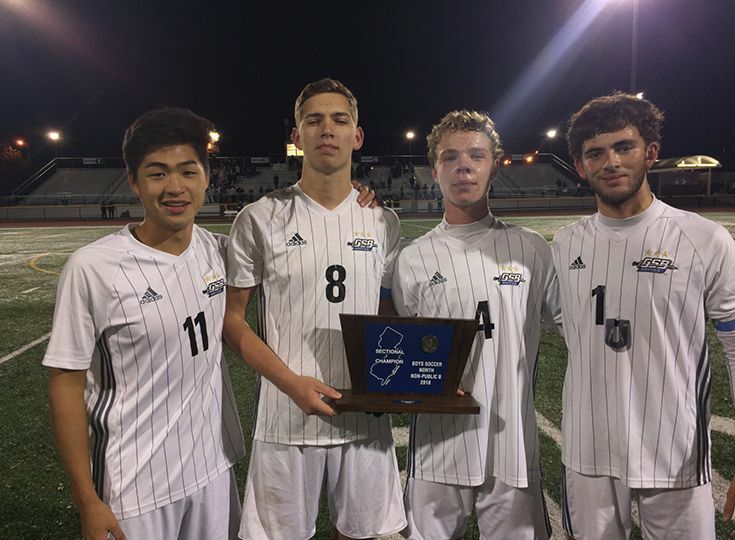 The boys’ soccer team continued its incredible season as the Knights defeated Montclair Kimberley Academy 2-1 to claim the North, Non-Public B sectional title. It is Gill’s seventh sectional title in program history. Gill could not have asked for a better start to the contest as Adam Berrocal ’21 and Micaah Garnette ’21 each scored to give the Knights a 2-0 lead within the first ten minutes of the game. The Cougars did respond with a goal of their own to make it a 2-1 game at halftime. The second half featured a lot of defensive maneuvering, and goalkeeper Alex Borto ’22 made eight saves to secure the win for the Knights. Gill will take on Rutgers Prep in the Non-Public B State Championship this Sunday at Kean University. The Knights have three wins and three losses in state championship games and their most recent title came in 2016. Make sure to come out and cheer on the team this Sunday at 12:30 p.m. at Kean University! Good luck Knights!